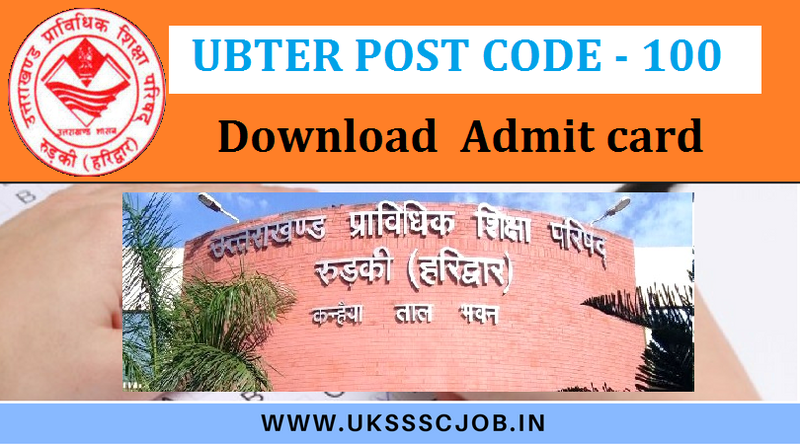 UBTER Uttarakhand Board of Technical Education has released the UBTER POST CODE 11 Admit card 2017. Candidates who have applied for the UBTER Uttarakhand Group C post code 100 now they can download UBTER POST CODE 100 Admit card from the official website of UBTER.IN. or Via Direct Link given below By WWW.UKSSSCJOB.IN . Uttarakhand Board of Technical Education (UBTER) scheduled to conduct the written exams of Post Code 100 on 18 June 2017.